Note from shop owner Necesitamos un tiempo de descanso, perdonad las molestias! Necesitamos un tiempo de descanso, perdonad las molestias! Muy buen trato y todas las facilidades para adaptarse a lo que nosotros deseábamos. La bandana quedo genial y llegó envuelta en perfecto estado. He quedado encantada. 100%recomendable. Los.baberos son estupendos, muy bonitos y de calidad. La atención inmejorable. Compraremos más,seguro. Muchas gracias. A Ana le encanta el color rosa y el morado!!! 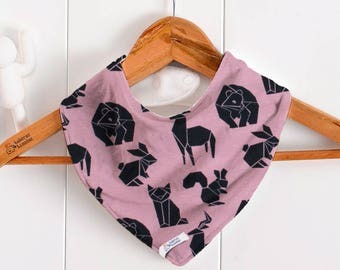 Bandana de y babero rosa con puntitos para comer. Gracias Ana! We are Enrique and Patricia, the parents of Ausiás. Ausiás has ‘West’s Syndrome’ and requires special attention 24 hours a day. He also needs clothes and other items according to his needs. 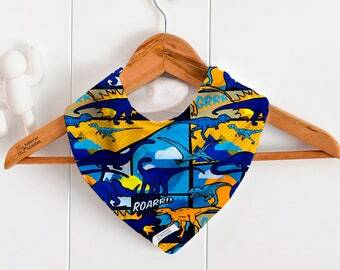 As you know, when children are small it is easy to find clothes, bibs, and an entire world of accessories for them. But when they grow bigger this task becomes more complicated: the sizes stop at 36 months, or the designs are unattractive and too utilitarian because they are for use with geriatrics, or the items simply do not exist because nobody has thought of them or no-one has been interested in marketing them. At school, everyone knows Ausiás, because we are always making clothes for him. We make him dribble bibs, bibs for eating, bodies, changing mats, blankets for his wheelchair etc etc. Many of his friend’s Mothers have asked if we can make them these things as well, to sell to them, because they would like to be able to have some of these items. So finally we have decided to do it, and now we are making these clothes and accessories for sale, and we would like you to test them out for us with your children, to see if you like them, if they work OK and suit their needs, to check the materials used and quality etc. Para nosotros es muy importante que quedes contento/a con tu compra, por eso si no te satisface, te agradecemos que te pongas en contacto con nosotros, para poder solucionarlo, antes de dejarnos un voto negativo. - Acepto devoluciones hasta 14 días desde la recepción del producto y es imprescindible que se encuentre en perfecto estado y en sus condiciones originales. Es nuestra costumbre proteger y envolver bien los productos que enviamos, por lo que no deben llegar deteriorados. - Los artículos deben ser devueltos en las mismas condiciones que se enviaron: por correo certificado. - El importe de la compra será devuelto una vez que hayamos recibido el producto. - En ningún caso se devolverá el coste de los gastos de devolución. - No nos responsabilizamos por pérdida o daños causados durante la devolución del artículo, por lo que deben asegurarse de que su envío lo hacen por correo certificado. We accept payments through PayPal, but is not necessary have a PayPal account for paying through it. You can pay with credit/debit card. If you wish pay by bank transfer (only for residents in EU countries members), please contact us. . I recommend you to do the payment within 3 days maximum; if you have any inconvenience please let us know. We can cancel the transaction after 3 days if you don't say something to us. Our orders are sent by ordinary mail, through the postal service of Spain. For international orders, it will be the postal service of the recipient country that will be responsible for making the package arrive to you once you have arrived at the international receiving office of destination. We send the packages by ordinary mail, so you will NOT HAVE A TRACKING NUMBER, nor can we be held responsible if the package is lost (never happened to us!). If you prefer a CERTIFIED shipment, WITH A TRACKING NUMBER so that you are informed, at all times, where your order is placed and delivery in hand previous signature of the recipient, you must ADD TO THE CART the item "CERTIFIED SHIPPING" that has a Additional cost of € 3, but it gives you more peace of mind! Import duties, taxes and charges are not included in the item price or shipping charges. These charges are the buyer's responsibility. Please check with your country's customs office to determine what these additional costs will be prior to buy.